The gastrointestinal tract normally consists of microflora and microbiota. The colon contains the greatest amount of microbiota and microflora, while the small intestines contains a much lower amount of bacteria. Small intestinal bacterial overgrowth refers to a condition in which there are extremely high levels of bacteria. Antibiotics such as metronidazole, norfloxacin and rifaximin are effective treatment options for inhibiting the growth of intestinal bacteria. Metronidazole is an antibiotic used in the treatment of small intestinal bacterial overgrowth. 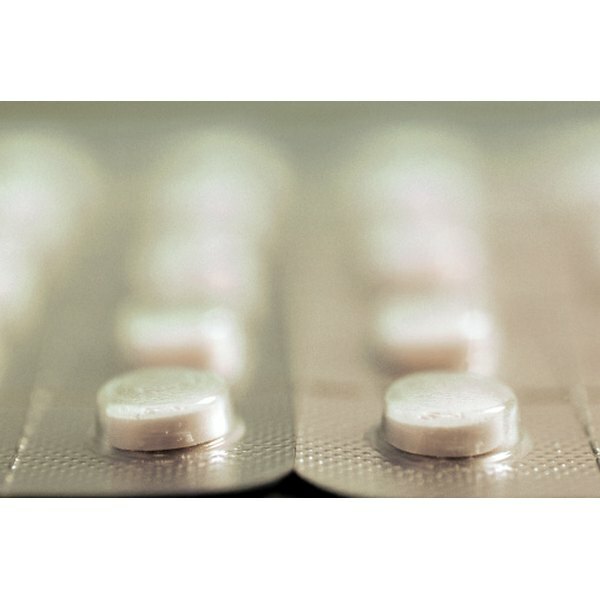 According to Ei-resource.org, research studies have found metronidazole to be effective in treating small intestinal bacterial overgrowth, especially anaerobic bacteria. Norfloxacin is a fluoroquinolone antibiotic used for the treatment of intestinal bacterial overgrowth. Norflaxacin works by killing sensitive bacteria, thus effectively stopping the bacterial growth. According to the World Journal of Gastroenterology, norfloxacin has been proven to be an effective treatment of small intestinal bacterial overgrowth. Rifaximin is a highly efficient antibiotic used for the treatment of small intestinal bacterial overgrowth. Rifaximin inhibits the synthesis of RNA in gram-positive and gram-negative bacteria. Rifaximin is not absorbed in the small intestine, thus it is highly effective in inhibiting the growth of small intestinal bacteria. According to the journal Alimentary Pharmacology &amp; Therapeutics, in a study in which rifaximin was used for the treatment of small intestinal bacterial overgrowth, a 1,200mg per day dosage of rifaximin resulted in a decontamination rate of 60 percent in small intestinal bacterial overgrowth. Additionally, Docguide.com notes that the treatment of small intestinal bacterial overgrowth with rifaximin resulted in the reduction of the symptoms of small intestine bacterial overgrowth in 78.9 percent of patients. Adam Scarano began writing as a freelancer in 2010 focusing on the fields of graphic design and media. He graduated from the Metropolitan State College of Denver with a Bachelor of Arts in English with a minor in digital media.